We’re proud to be an EFS Direct Distributor on the Gold Coast. 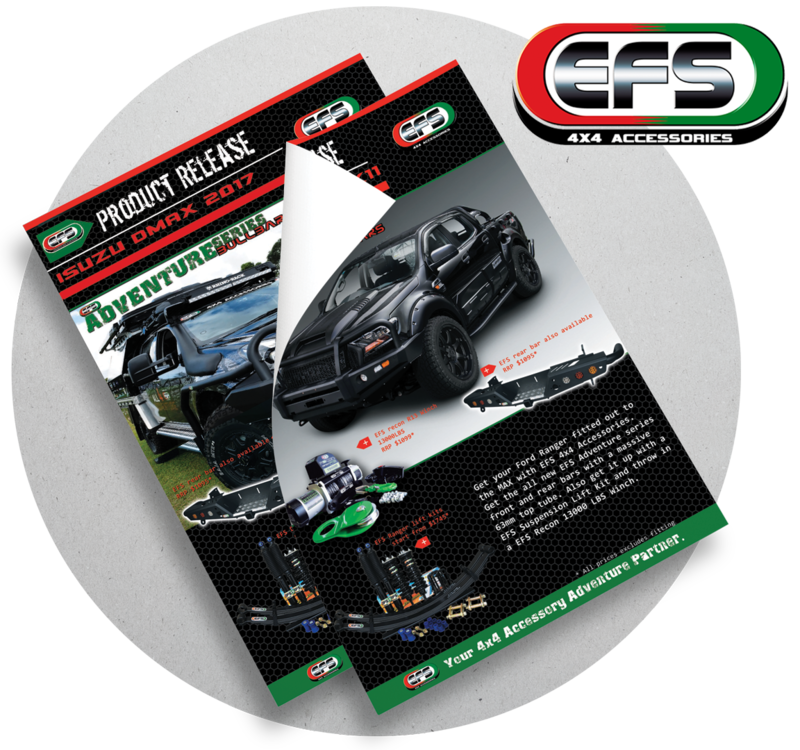 Download a product flyer specific to your vehicle by clicking one of the links below. *More to come. Contact us if you don’t see your vehicle in the links above, we’re happy to accommodate. 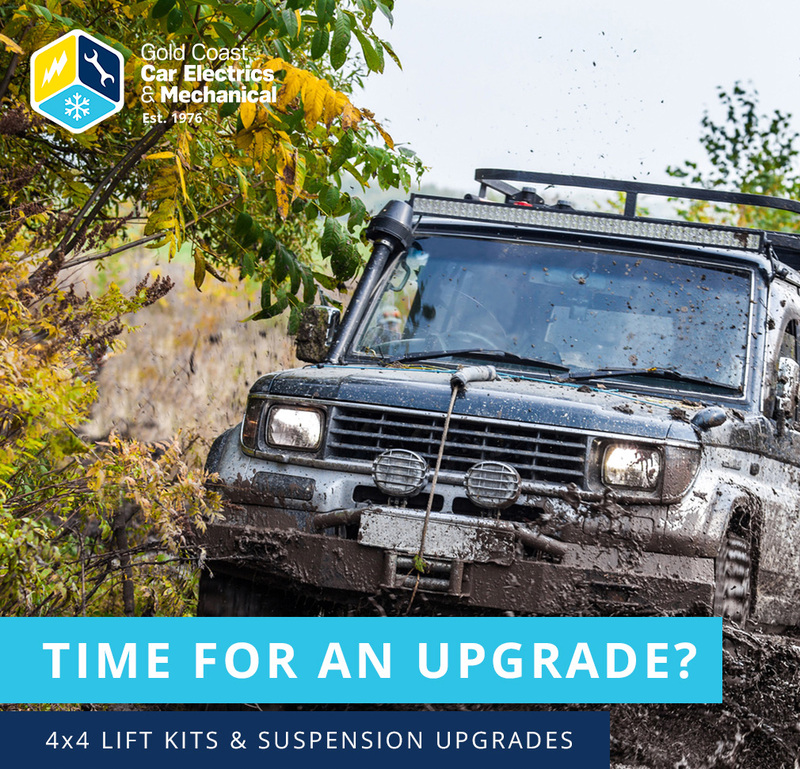 If you want to make your 4WD experience better, we can help you with our vast array of accessories and upgrades. We don’t simply offer suspension and lift kits – our product and service range is varied. If you prefer a different design, no problem we also sell Dobinsons, MCC, AFN and more. Contact us with your wish list today and we can give a no-obligation quote for all of your accessories. Winches are an item we strongly recommend always choosing quality. The winch is usually the last resort in vehicle recovery so you don’t want it to let you down. Poor quality winches can overheat quickly and lack the power required. For this reason we recommend the EFS Recon R13 and the range of Runva winches, the most common of which are the 11XP and 13XP. What winch so you require? Well you first need to find out what your bull bar is rated to handle. Many Bull bars are only rated to around 12,000lbs so the Runva 11XP at 11,000lbs is the most popular choice and at only $975 plus fitting it’s outstanding value! 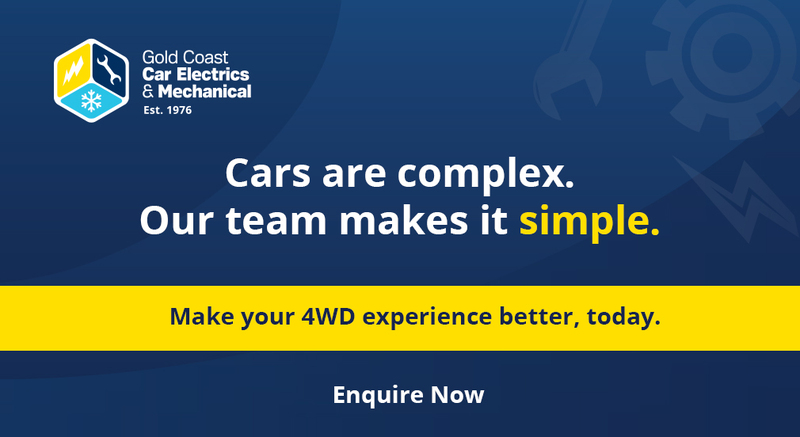 GCCEM are agents for both EFS and Runva and with qualified Auto Electricians in house we can expertly fit your winch right here on the Gold Coast. Hayman Reese is one of the top suppliers we use for our towbars. Their products come with a lifetime warranty and are heavily tested under intensive conditions to ensure durability. All the Hayman Reese towbars we stock comply with Australian design rules and specifications, so you can be confident towing any load. Off road paths can lead to dusty tracks and water crossings, and to cope with any track type, you will need a high quality snorkel. A good snorkel can ensure you, and your passengers, are supplied with cool and clean air, no matter whether crossing a river or dirt track. We have a range of snorkels to choose from, protecting your 4×4 engine, no matter the situation. To prepare yourself for any off road scenario, you’ll need a high lift jack. When you need your 4×4 to climb over an obstacle, or want to lift your vehicle up, a high lift jack becomes extremely handy. Whether crossing a rocky river bed or quick sinking mud, a high lift jack will be your friend in the outback. If your tyres need inflating but there isn’t a service station in sight, a compressor kit is worth its weight in gold.  We have a number of compressors to assist with any situation – whether simply inflating your tyres or even re-seating a tyre on to the wheel of your vehicle, we’ll have one to suit. Other accessories GCCEM has for sale include recovery kits, tyre puncture repair kits, quick tyre deflators, and more. Any preferred brand can be sourced, including Darche, EFS, Eva Kool fridges, Dobinsons, and more. Great pricing can be provided when packaging installation items together including 4×4 suspension, lift kits, dual battery systems, charge circuits, brake controllers, tow bars, bull bars, winches, snorkels, breather kits, catch cans & pre-filters, reverse camera, driving lights, headlight upgrades, Darche and Eva Cool products and other 4WD accessories.